If 8 out of 10 addicts fail, is it really treatment? The British drug treatment and recovery community has been squabbling recently over annual figures published by the National Treatment Agency (NTA) showing a marked increase in the number of people in drug treatment programs in Britain. In the current issue of Newsweek, science writer Sharon Begley gives us some inadvertent clues. Since most residential treatment therapy revolves around individual and group counseling by psychologists, not M.D.s or prescribing psychiatrists, it is unnerving to discover, in a study highlighted by Begley, that clinical psychologists in general practice do not necessarily use “the interventions for which there is the strongest evidence of efficacy.” In other words, where’s the science? Begley could have added sacral cranial therapy, electric acupuncture, and a host of other questionable practices now subsumed under the broad rubric of clinical psychology. The point is obvious: With more than a thousand brands of psychotherapy currently being practiced, it is safe to say that the field is rife with conflicting opinions about what works. The problem is that the addicted person has no way of knowing whether the clinical therapy on offer during treatment is backed up by enough sound scientific evidence to warrant participation. As long as clinics are showing relapse rates not unlike those shown by alcoholics and other addicts going it alone, patients and those involved in their recovery have every reason to view addiction therapy programs with a critical eye. Perhaps this failure rate actually highlights the complex nature of addiction. There are so many factors involved and so much we do not yet know. To name a few, trauma, genetics, brain development, pressures of modern life: financial stress, job insecurity. Also the legitimacy of some drugs alcohol and tobacco cause way more damage to a population than any illicit drug. To say a particular treatment works best over another. Well when you look at the period at which the efficacy of these treatments are observed generally 12 months, this is crazy. Addiction is a lifetime issue. For a lot of people the addiction is maintained by underlying causes which if not treated can trigger relapse. On top of which the actual therapeutic intervention is only a very small part of treatment. The major components are the the qualities of the treating therapists. It does not matter on jot if a therapist knows CBT inside out if clients can't relate then its not going to work. Its not the therapy. Its the therapist, the clients, genetics, psychosocioeconomic factors. If governments atteneded to socio economics and provided interventions for children at risk this may help. There is no silver bullet. 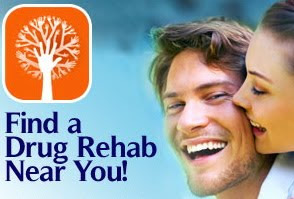 We are attracted to addictive substances to help us cope, be socialable and take away pain.